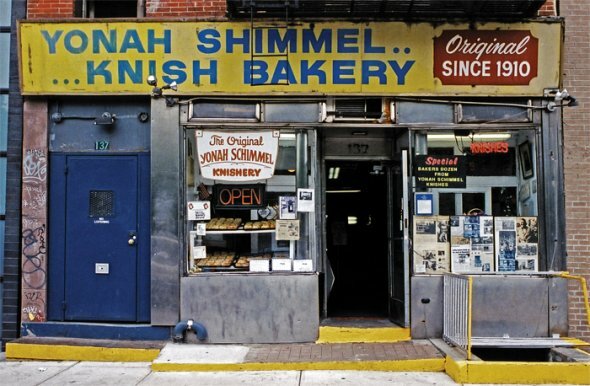 The Yonah Shimmel Knishery on the lower east side is still here, and busy, and delicious. So what if the guy serving never heard of “schmaltz” (rendered chicken fat that is the magic ingredient) before working here. The crazy woman carrying 6 bags up the middle of the street yelling in a Chinese dialect may or may not have a phone up to her ear, and there may or may not be someone on the other end. It is normal to walk 20 blocks in 4″ heels. 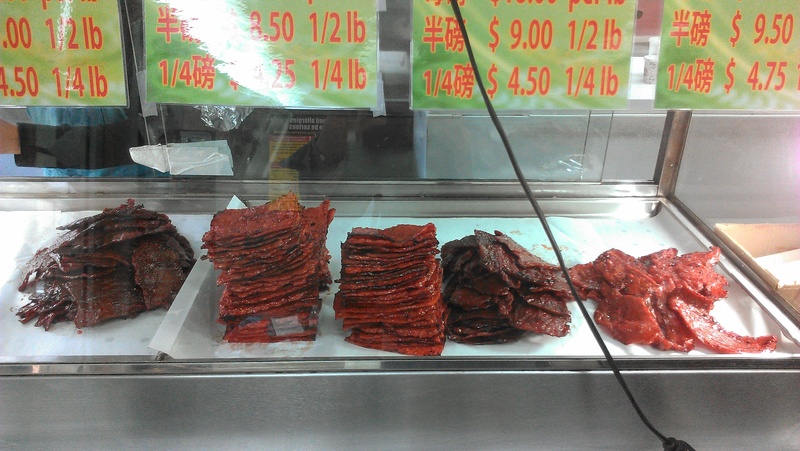 “Ling Kee” ONLY sells jerky, it won’t kill you, and is delicious. Really, they only sell one thing. Jerky. If you whisper “Hermes” or “Coach” on Canal Street, you get swarmed with offers to visit an alley to buy watches and purses. 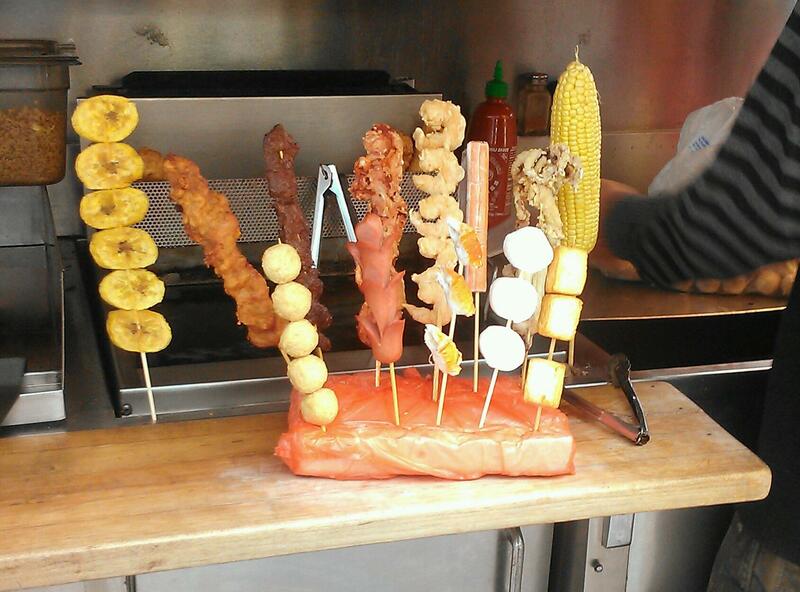 That some street vendors make hotdogs into flowers and other weird and wonderful things on sticks. Putting the standard wiener vendor to shame. That it is normal for my daughter to say “oh, there’s a rat” as we drive at night. That people line up around the corner for il Laboratorio del gelato’s cheddar cheese or 3 different kids of pepper gelato. Even that Dean and Deluca manages to charge $2 bucks a rugelach. Singular. More to follow on that topic in another post. 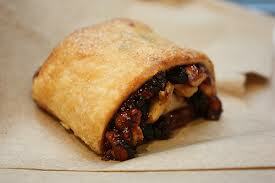 Why are these rugelach SO good? What is with New York’s preoccupation with brunch on the weekend? Sunday I can understand walking blocks and only seeing menus for that wonderful lazy meal. French toast, eggs, pancakes. The morning-after-drinking-far-too-much food. But folks, you pride yourself on being THE city, and every decent foodie haunt below 20th street is lined up for AT LEAST an hour for eggs? Isn’t everyone in a RUSH here? I have shopping to do, and people to watch. I need downtown lunch, now! No dessert, thanks. 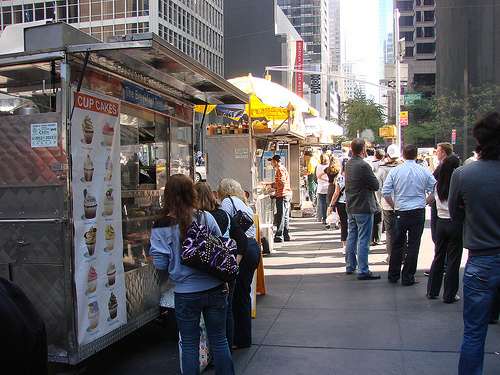 I won’t make it 10 feet without a store, cart or truck selling cupcakes. But that is a whole other silly story.